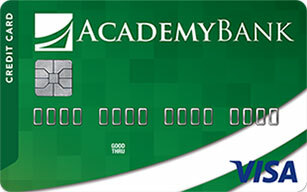 Your Academy Bank routing number is 107001481. Log into Online Banking and view your account number. Log into Online Banking and view a recent check or start a web chat. To order checks you can log into Online Banking and select the "Order Checks" button, call us at (877) 712-2265, or stop by your local branch. TeleBank is our automated teller line that gives you 24/7 access to your account information toll free. If you need to obtain your TeleBank PIN, call us at (877) 712-2265. To sign up for Saving Cents, call us at (877) 712-2265 or stop by your local branch. To send the wire in person at one of our branch locations, please remember to bring a valid photo ID. To send a wire over the phone, you must have a Wire Transfer Agreement on file. To learn more about sending wires with us over the phone, please call (877) 712-2265. Dollar limits may apply.